What does it mean to be a botanist? What qualifications do you need to become a botanist? 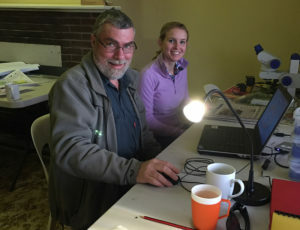 Botanists Peter Lang and Chelsea Novice working late nights during the Bush Blitz expedition to Lake Torrens in 2016. — Click on images to read more. Our botanists have a range of backgrounds and qualifications. An education in science is typical and beneficial. Some individuals, however, have interests in a particular group of plants, leading them to a lifelong passion and profession in botany. Personally, I studied a Bachelor of Science (Marine Biology) with Honours. This lead to an opportunity to work as a researcher in marine botany at the State Herbarium. Now I am employed as a qualified researcher and curation officer, working with many botanists and helping out on amazing projects. Does botany as a profession allow you to branch out to other jobs if you wanted to? Is it a new species? How does it reproduce, how is it pollinated and by whom? Has its structure and appearance changed over time? Is it native or an introduced weed? Answering these questions builds new knowledge that can, and are, be used in many other areas of science. Goodenia valdentata, a new species from inland South Australia, described by Peter in 2014. Photo: SA Seedbank. Approximately how many hours does a botanist work per week and how long have you been working in this field? Botany is a mixture of love and full time dedication. Most of our botanists are full time workers. We have retired botanists who continue to work in their retirement years, as the job can become very addictive and there is just so much more to discover. For me personally, full time is 37.5 hours a week. I have been in this field for 6 years, working on a variety of projects. Leading up to the position, I undertook full time study with lots and lots of work experience. Some of our botanists also like to ‘botanise’ in their personal time, it depends on each individual. Chelsea in the herbarium vaults, with a very large algae specimen. What are some daily activities of a botanist? Working with the community and educating people about your discoveries. What school subjects should be chosen to get a job as a botanist? Anything-science related is a positive start, e.g. biology or chemistry. Art subjects are also great, as science and art can go very well together. English would be beneficial as good writing-skills are needed. I chose biology, chemistry, art studies & English, and was luckily enough to have subjects such as agricultural science, when attending Urrbrae Agricultural High School. Many of our botanists also have continued their studies to complete postgraduate degrees in science such as Masters or PhD programs. This involves several years of intensive research study at a recognised University. 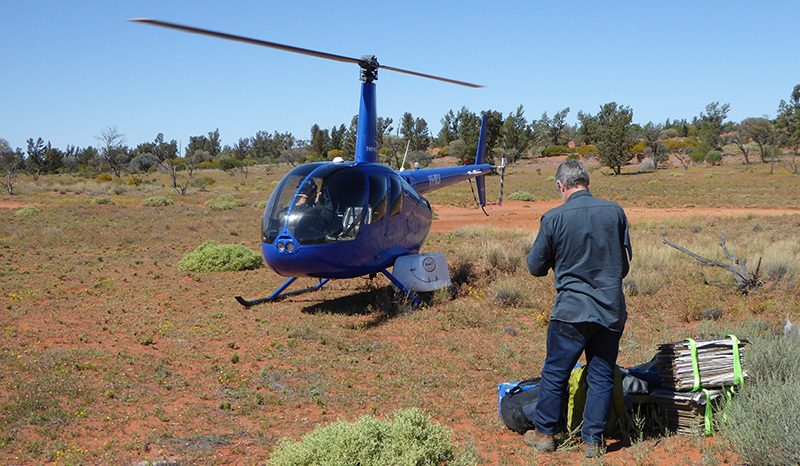 Peter with his plant presses, waiting to board the helicopter during the Bush Blitz expedition in 2016. What are the challenges faced working as a botanist? Botany, like most jobs, can sometimes involve very tedious work. For example, in the herbarium we undertake a lot of information-recording and recording of data. Botanists also spend time writing reports or research papers to share their work with others. As is the nature of science, sometimes the work botanists undertake can be complicated as research doesn’t always discover the answers you thought you would find – leading to more questions. What are the positives of the job? The job involves many different skill-sets and can include both field work and office work, it rarely gets boring. You are also surrounded by similar-minded people, all on a mission to discover the secret life of plants (or other flora) and that can be very special. 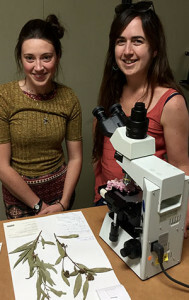 Do you have any advice for young inspiring botanists? Having an interest in botany and nature is a fantastic start. Take up as many opportunities as you can through work experience or volunteering to get a feel if the career path is right for you. This entry was posted in News on 28 March, 2017 by Jürgen.